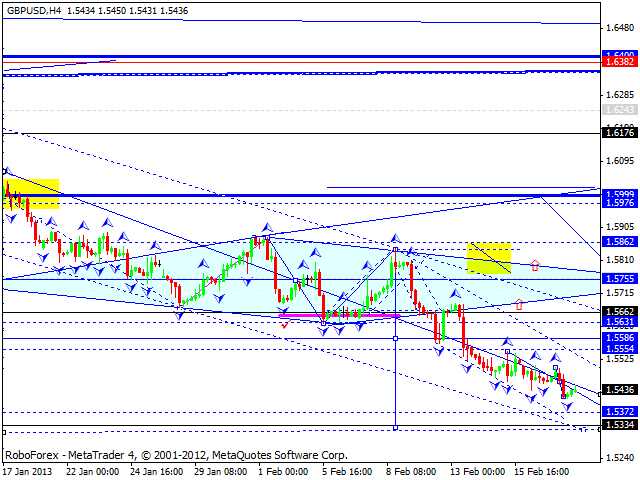 The EUR/USD currency pair is trying to start an ascending wave. 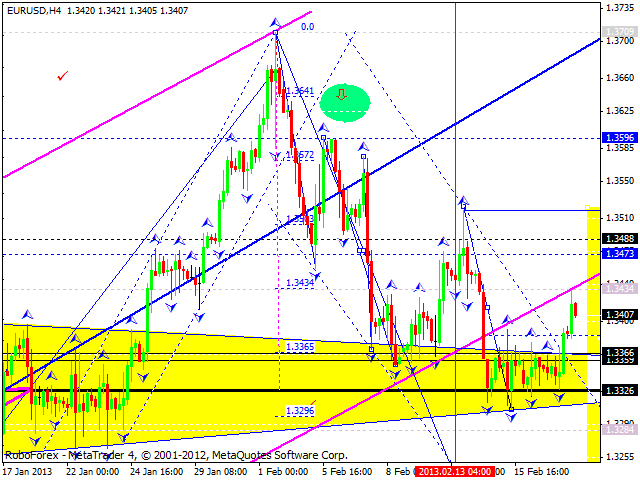 An alternative scenario implies that the price may continue moving upwards and reach the level of 1.3475. However, according to the main scenario, I think, the pair may fall down to break the level of 1.3330 from above and the continue moving towards the target at 1.3240. Only after reaching this target, this correction may be considered finished. 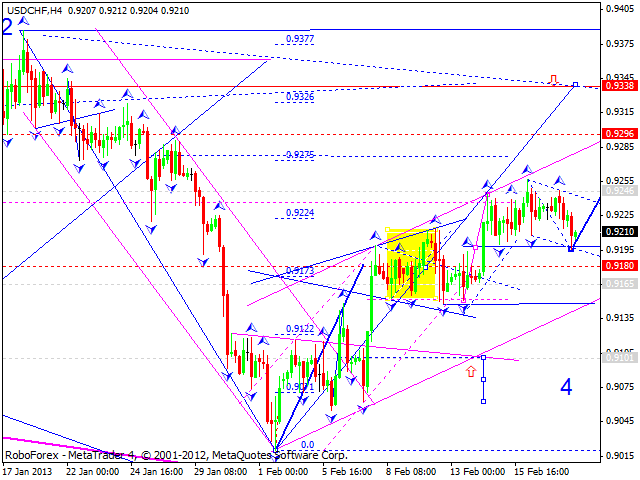 The GBP/USD currency pair continues moving downwards with the target at 1.5340; the price reached a new minimum. I think today the pair may consolidate for a while and then continue falling down. The USD/CHF currency pair moved downwards a little bit; this descending movement may be considered as a three-wave correction. I think today the price may break the channel of this correction and start a new ascending movement to reach the target at 0.9300. 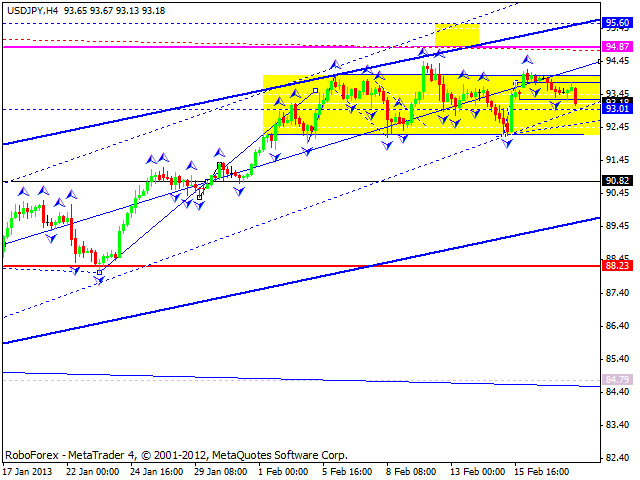 The USD/JPY currency pair continues moving inside a narrow consolidation channel. I think today the price may fall down towards the channel’s lower border and the start a new ascending movement towards the level of 95. After reaching this target, the pair may start moving downwards to reach the level of 91. Australian Dollar continues moving upwards; the pair returned into its previous consolidation channel. 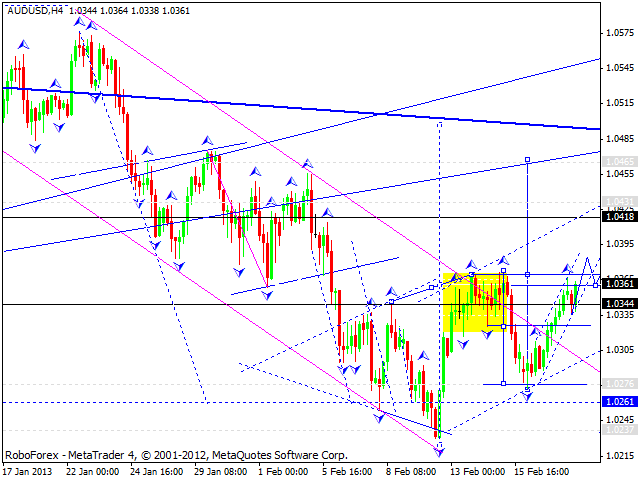 I think the price may move upwards, break the channel’s upper border, and reach the level of 1.0400. Later, in my opinion, the pair may start a new ascending movement towards the target at 1.0465. 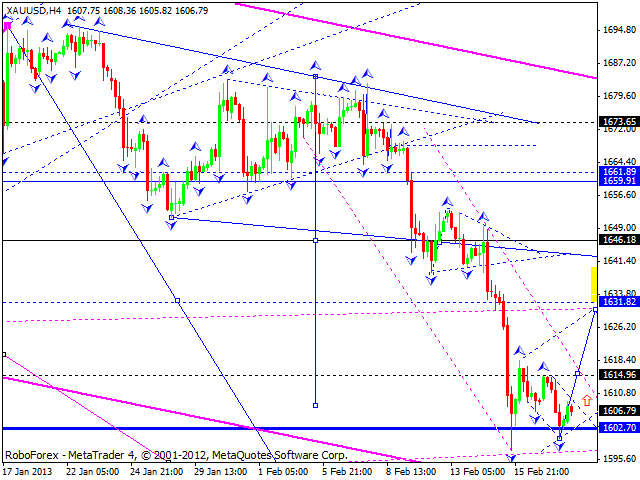 Gold continues a correction of the first ascending impulse. In my opinion, the instrument may break the channel of this correction and continue moving upwards. The target is at 1630. Later, the price may start a new descending movement to reach the level of 1566.